Annie Cohen-Solal, former Cultural Attaché of France in New York City, and author of the critically acclaimed “Sartre: A Life” (1987), will discuss her new biography of her friend Leo Castelli, American art dealer and one of the premier movers and shakers of the twentieth century art world—“Leo and His Circle” (2010), which won the ArtCurial Prize for best contemporary art book— at 7:00 p.m., Tuesday, October 12, 2010, in the Art Museum on the University at Albany’s uptown campus. Cosponsored by the UAlbany Art Museum’s Art & Culture Talks (ACT), Art Department, the Department of Languages, Literatures and Cultures, and the New York State Writers Institute, the event is free and open to the public. Famed art dealer Leo Castelli (1907-1999), leading promoter of Pop Art and Minimalism, exerted a tremendous influence on the culture and taste of the American art world in the twentieth century, and his impact is still felt today. In her new biography, “Leo and His Circle: The Life of Leo Castelli” (2010), Annie Cohen-Solal explores the life of the man who introduced us to Roy Lichtenstein, Jasper Johns, Frank Stella, Robert Rauschenberg, and many other seminal artists. As Cultural Counselor to the French Embassy (1989-1993), Solal became a friend of Castelli, who took it upon himself to be her personal guide to the New York art world. 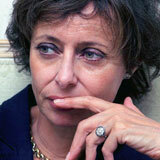 Cohen-Solal has used the access that afforded her to create a rich, detailed picture of the enigmatic art dealer. Among other things, Cohen-Solal reveals for the first time the trials and tribulations experienced by Castelli and his Hungarian Jewish family during the Holocaust. Born Leo Krausz in Trieste to a family of prosperous bankers, Castelli’s parents adopted an Italian name after Mussolini’s Fascists annexed the city. The book also chronicles Castelli’s discovery of and relationship with artists who have since become household names. Writing in the “New York Times,” Dwight Garner said, “Cohen-Solal writes wonderfully about Castelli’s gifts of personality [and] delivers the silky story of a classic American immigrant overachiever.... [S]erious, probing... beautiful.... photographs, sprinkled throughout, pop from the page.” The “New Yorker’s” Peter Schjeldahl called “Leo and His Circle,” “[A] n impeccably judicious book....detailed and savvy....[Cohen-Solal] provides a backstory...that is ....absorbing and [a] highly relevant scrutiny of the historic loam that produced a bloom as exotic as Castelli.” The book received the “Best Contemporary Art Book Prize” of the French auction house, Artcurial, in 2010. Born to Jewish parents in Algeria, Cohen-Solal moved with her family to France at the close of the Algerian War of Independence. She holds a Ph.D. from the Sorbonne and is currently Visiting Arts Professor at New York University’s Tisch School of the Arts.